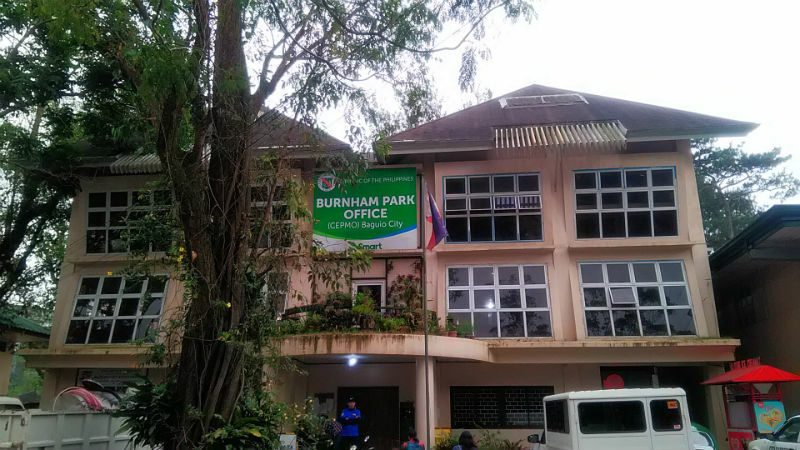 BAGUIO CITY – The City Environment and Parks Management office recommended for the denial of the proposed put up of a temporary cement batching plant by a construction firm within the vicinity of the former archery range behind the Burnham Park swimming pool because of its reported serious negative impact to the state of the environment in the area. City Environment and Parks Management Officer Cordelia C. Lacsamana stated that based on the inspection conducted by Assistant City Environment and Parks Management officer Ruben Cervantes and Burnham Park office had Joseph Hermogeno, the proposed batching plant facility will be installed below the Gov. Pack road extension which is considered to be very close and behind the city-owned swimming pool and below the Baguio City National High School (BCNHS). Further, she claimed that the proposed batching plant is also near the Japanese friendship memorial and the Japanese memorial park, the University of the Philippines College Baguio among other major public and private institutions. Based on the inspection report, only the technical drawing of the chute was provided which will measure 1.20 meters by 1.20 meters and with a height of 6 meters and that it could accommodate 5-8 cubic meters of ready mix per batch wherein it will be composed of 30-50 bags of cement, 9-15 buckets of sand and 12-16 buckets of gravel. Aside from the fact that the batching plant will be operational for 6 months, Lacsamana revealed that there was no environmental compliance certificate (ECC) was presented by the potential applicant. She added the applicant was not able to present no objection letters from neighboring schools, government facilities and other institutions that will be possibly disturbed once the facility will be operational in the coming weeks. According to her, there was no environmental impact assessment and summary report which were shown by the applicant that will show all the possible significant environmental impacts of the facility in identifying measures to mitigate the impact of the facility like the dust emission among others. The CEPMO added the applicant did not have an environmental management plan showing the specific mitigation program for the identified impacts and responsible persons involved in addressing the same. Moreover, the CEPMO recommended the denial of the application because it is in violation of the pertinent provisions of Ordinance N. 43, series of 2007 or the city’s Anti-Batching Ordinance that prohibits the operation of batching plants in the jurisdiction of the city. Earlier, Engr. Mario E. Pulmano, managing officer of MEP Construction, and winning bidder of the DPWH flood management program and maintenance of flood mitigation structures and drainage systems along BGH flyover to the Baguio Athletic Bowl, Rose Garden, Burnham Park, requested to put up a temporary batching plant at the former archery range near the city-owned swimming pool area for the duration of the implementation of his project. Initially, the contractor started installing the necessary structures for the facility but decided to dismantle the same because of prevailing ordinances relative thereto.